We have 3 FREE Magazine Deals for you. The first one is the Free subscription to Field and Stream - VM where you can sign up for a complimentary 12 issue subscription. You can enjoy a 12 issue subscription. It has no strings attached and you can never receive a bill. 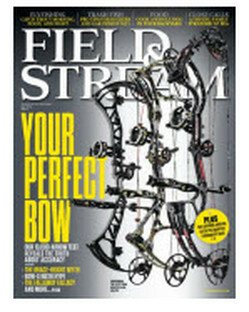 Field & Stream is "The World's Leading Outdoor Magazine" where it's devoted to the complete outdoor experience and lifestyle, where it gives's known to provide its readers the knowledge and inspiration to pursue the sports they love. The subscription that you'll be receiving was purchased on your behalf by StartSampling.com so after going through process, you can also add Cruising World and Ebony for free too and an additional digital couple gossip rags. The second free magazine offer is Arthritis Today for FREE! You only need to follow simple steps by receiving this offer such as telling about yourself and your profile will determine the magazines presented. After that, you can choose your magazines and select up to three magazines of your choice from the list that they are offering. You also need to complete subscription forms where your answers will be used to determine if you qualify. Once you're done, you only need to specify the delivery information It's as simple as that! Get your FREE magazines now and this will be perfect for those times where you can read while waiting for someone inside a room. The third Free 18-Month Subscription Magazine is the US Weekly Magazine! through Rewards Gold. You can easily answer a few quick questions and get the 18 Months of magazines with Us Weekly. This does not require a coupon and includes Free Shipping for 18 Issues.